Release date: 14 Sept. 2018Manufacturer: Electronic ArtsRated : Ages 12 and Over Item Cover may defferPre-Order bonus VALID when place .. This product qualifies for free shipping when bundle it. This product qualify for free shipping inside Cairo and most of States; when buy it with another product and your order value exceed 1500 EGP. The Legends Have Arrived: NHL 19 introduces over 200 legends from multiple eras in hockey's history. Play with or against the sport's greatest players, including Wayne Gretzky. 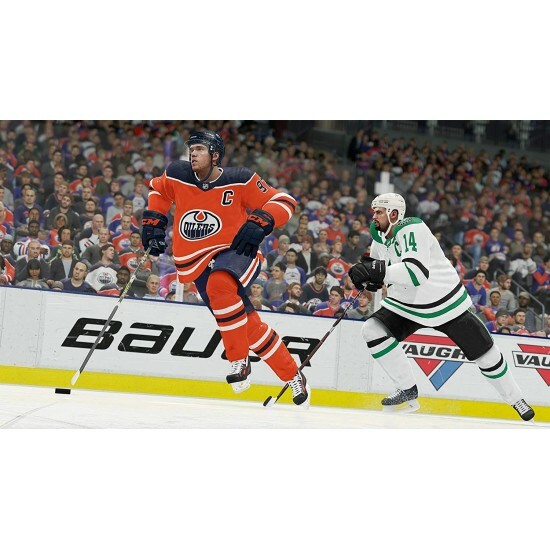 NHL 19 also introduces Hero Teams that combine the best players from past and present to create the ultimate fantasy matchups between today's superstars and yesterday's legends. Available in single player and multiplayer modes, history is now at your fingertips to play, team up and compete as the best of the best. 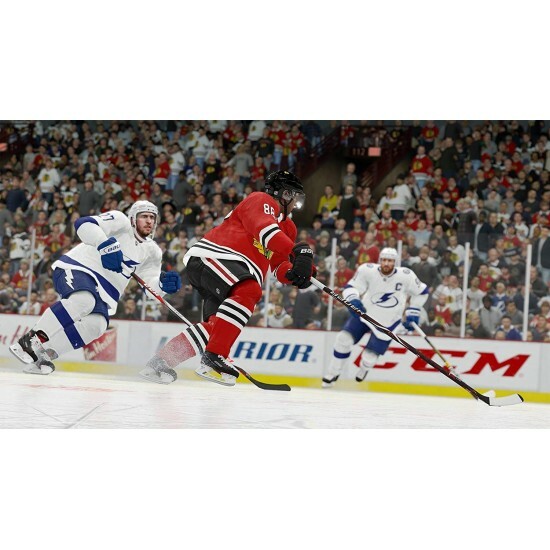 Explosive-Edge Skating: The cutting-edge animation gameplay technology, Real Player Motion Tech, comes to EA SPORTS NHL. RPM Tech delivers explosive-edge skating, enabling more control, acceleration and responsiveness up and down the ice. RPM Tech combines with brand new physics collision technology that makes jaw-dropping hits more life-like, varied, and satisfying. NHL 19 looks better, plays better, and feels better with two all-new tech systems delivering a more complete on-ice experience. 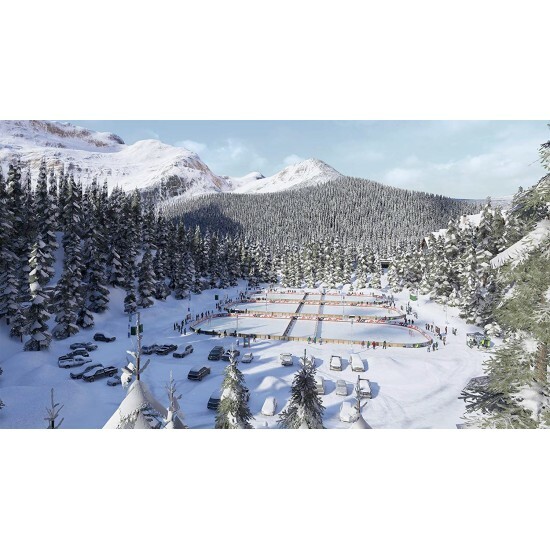 Welcome To The Great Outdoors: Hockey returns to its roots by taking the game back to ponds. 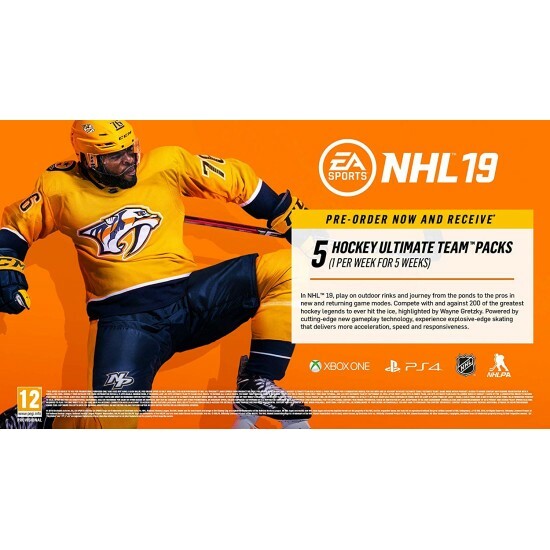 For the first time in franchise history, step onto the pond and compete in the EA SPORTS Hockey League, NHL THREES, Play Now and the brand new modes NHL ONES and Pro-Am. In NHL ONES, you and two other players compete in a 1v1v1 free-for-all gauntlet. Showcase your skills and creativity with no rules, no stoppages, and no limits. Win the free-for-all to progress to new outdoor locations and become king of the hill. Express Yourself With New Customization: NHL 19 introduces over 900 all-new customization options for your create-a-character, giving you the freedom to create and express yourself on the ice like never before. For the first time, create a unique look inspired by pond hockey with lifestyle gear and clothing, including hoodies, jackets, parkas, knits and more. Express yourself with bold designs and colors that showcase your personality. New playstyle classes and player traits also let you customize the way you perform on the ice. NHL 19 gives you the freedom to create and compete as the player you've always wanted to be. 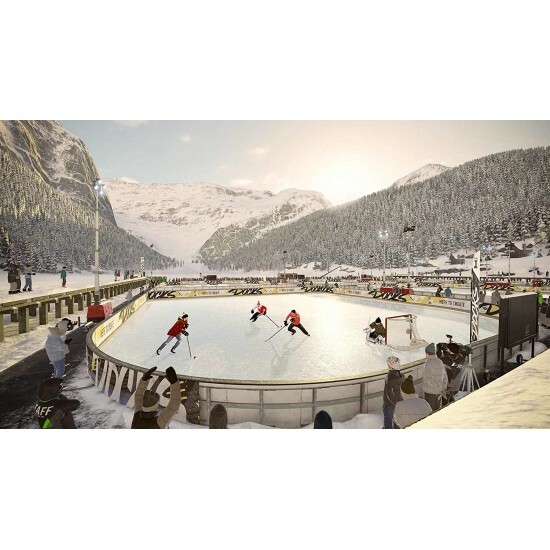 The World of CHEL:World of CHEL is an evolution of the fan-favorite EA SPORTS Hockey League that introduces a unified progression and customization system for your create-a-character across new and returning modes. Now you can earn customization gear and apply unique specialization traits to your character that impact playstyle across the World of CHEL, including NHL THREES Drop-in, NHL ONES, Pro-Am and EASHL. 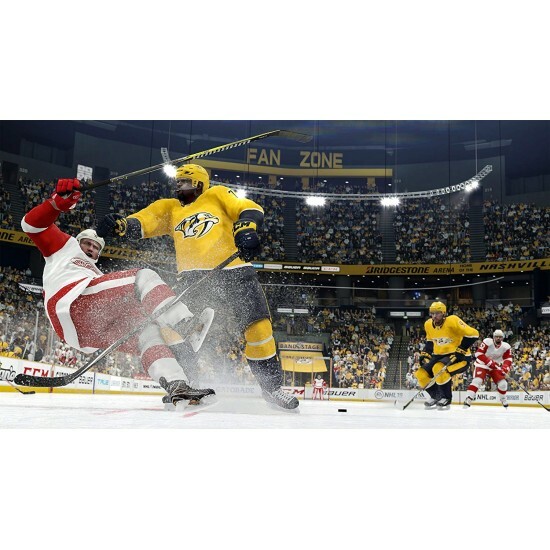 There have never been more ways to customize your look, performance and playstyle as you team up and compete with your friends..
NHL 19 introduces over 200 legends from multiple eras in hockey’s history. Play with or against the sport’s greatest players, including Wayne Gretzky. NHL 19 also introduces Hero Teams that combine the best players from past and present to create the ultimate fantasy matchups between today’s superstars and yesterday’s legends. Available in single player and multiplayer modes, history is now at your fingertips to play, team up and compete as the best of the best. NHL 19 introduces over 900 all-new customization options for your create-a-character, giving you the freedom to create and express yourself on the ice like never before. For the first time, create a unique look inspired by pond hockey with lifestyle gear and clothing, including hoodies, jackets, parkas, knits and more. Express yourself with bold designs and colors that showcase your personality. New playstyle classes and player traits also let you customize the way you perform on the ice. NHL 19 gives you the freedom to create and compete as the player you’ve always wanted to be. * All Brands and game names mentioned on EgyNewTech.com are trade marks belong to its' owner ( mentioned above ) and its' owner have all the rights reserved for it; Game code and certain audio and/or visual material belong to its' manufacturers ( mentioned above ) and they have all the rights reserved.